Getting ready and out the door is pretty much no easy task in our house. When I tell my 2 year old "Lets get ready to go" I think what he's really hearing is "Run for your life!" 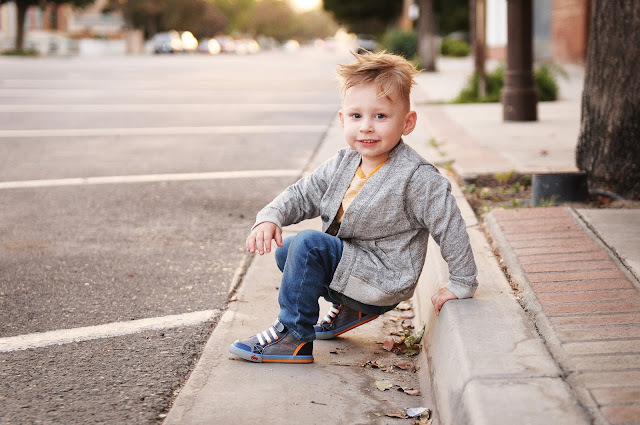 I wanted to share one of our newest favorite brands that not only has helped us with our getting ready routine but has also helped my son learn to love wearing his shoes! 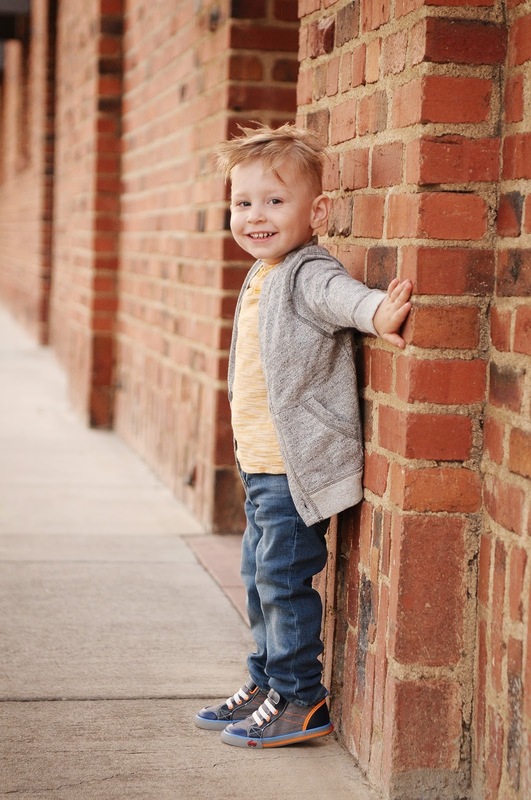 Maverick is on the larger side for his age, He's 29 months (2 1/2 yrs) and he's wearing 3-4 T sized clothing. His feet are also on the larger side (a toddler size 9) and very wide at that. We have bought him about 3-4 pairs of shoes in the last couple of months to only find that he is outgrowing them so fast and a lot of times the shoes are just too narrow for his wide "little" feet. A lot of times he is either not wearing shoes or complaining that he wants to take them off. 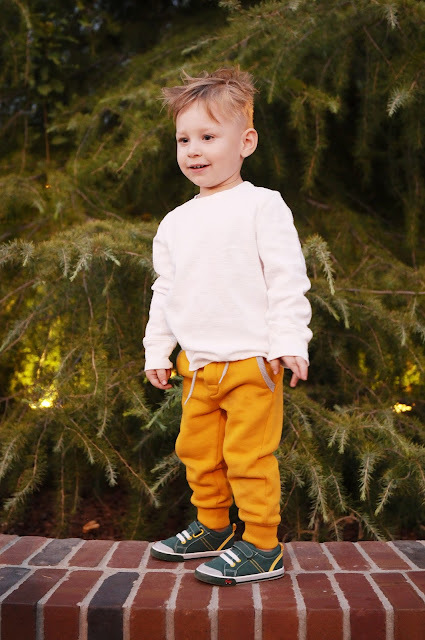 I can happily say when Maverick put on his new shoes from See Kai Run, his feet slid in perfectly and the shoes gave him room to spare. The extra room gave him a lot of relief on his wide little "big" feet and he has been one happy camper! We received his 2 new pairs of shoes in the mail from See Kai Run. We chose the Dane in gray and also the Tanner in green. He couldn't wait to try on his new shoes! I wanted to get some photos of him in his shoes. So the challenge was on to keep him out of them until we got some photos. At one time I found him on the living room floor putting his new shoes on by himself (they make it so easy with velcro fasteners and having no laces to tie!) He walked around the house in his diaper and sneakers for hours! I was very happy with the quality and durability of these shoes. Not only are they flexible for Maverick's growing and developing feet, they are also wide enough to provide his feet some relief. There are so many styles and colors to choose from, the wide variety makes things so fun and fashionable for the kids! I do have to say one of my favorite things of all is that Maverick is comfortable in these shoes and that makes for one happy mom! These styles and many more are available on See Kai Run. Be sure to follow their Facebook and Instagram to catch some awesome styling ideas, sales and giveaways! He's adorable and I love those shoes! This post caught my eye because I already love See Kai Run. Your son looks extra cute in them, though! Love both pairs you choose! 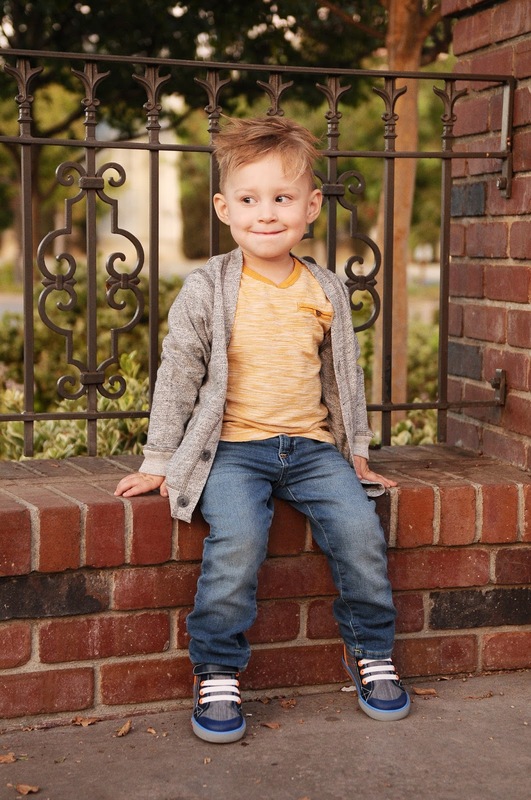 See kai run is one of my favorite brands for kids shoes. Well worth the price. I LOVE this post! 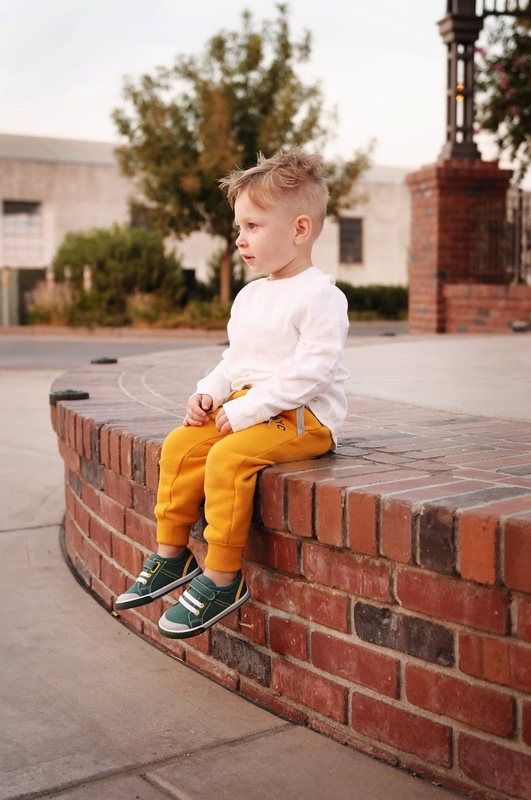 Any toddler boy style is my fave! Those orange joggers are adorable! And so is your boy!